Wow! Great pics and comments, and absolutely epic race! Can't wait for the RR. FANTASTIC photos. I can't wait for the race report. Watching the webcast and seeing the live finishes was exciting. Congratulations on your finish and thank you for bringing the sport to a new level! Woah awesome! This makes me want to run. Maybe I should keep reading your blog and it will motivate me to get out :) Nice job!! Congrats on an incredible race. Thanks for posting all the photos, you are super inspiring. Truly amazing. Congratulations on an awesome performance and thanks for sharing some of the details of the competition, the challenges and the photographs. Man great pictures that capture a epic race. 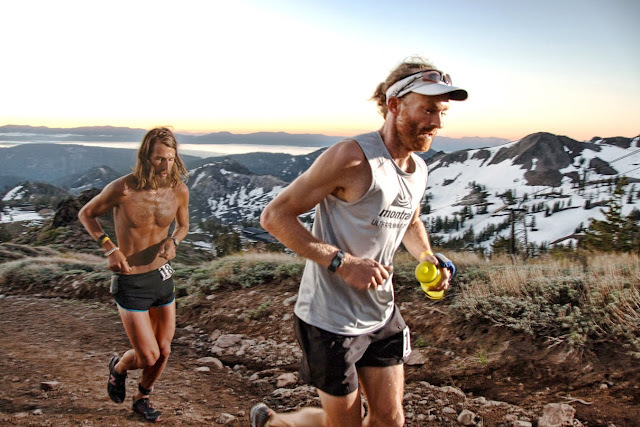 Races like this are what is shaping our sport each and every day. Thanks for sharing and great job !! Thanks for the post and the pics from the weekend. Cheers on the race, it was unreal from an outsiders standpoint. Well done. Glad to see you finally making it to the starting line of WS, and then finishin with great results. Excellent run, excellent pictures. Love the congratulations at the end. Running neck-and-neck w/ other runners definitely creates a certain bond. Thanks for making June 26th such a great day. Twas fun following the coverage. 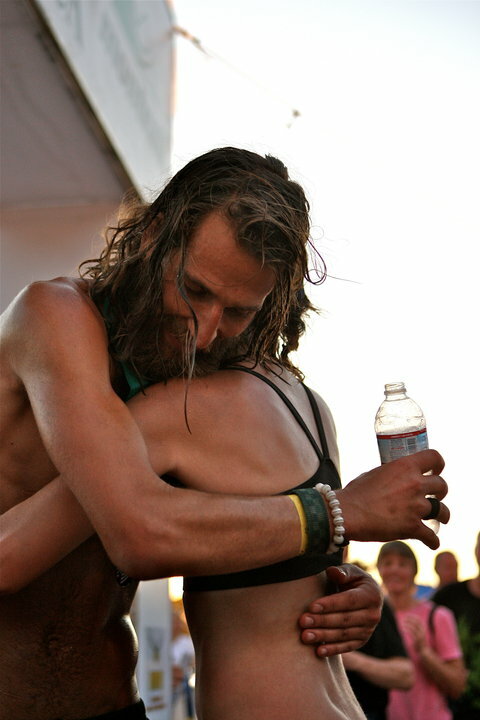 One question: What do you carry in your water bottles besides water? "As was pointed out several times to me, the top five men all had long hair. Guess it's time to grow the hair out"
Kilian's hair is pretty short, no? Very nice Tony! I tracked you all day and even woke up in the middle of the night wondering if you'd won. I'm stoked for your course record. Great race. I was glued to my phone all day for updates on the race. You guys put on an amazing show. It was cool to have the top runners competing in the same event. With more races like this the sport of ultra running can't help but grow. I don't carry anything but water in my water bottles. That way, if my stomach goes bad I can still drink. I get electrolytes from S! Caps and calories from GU. Unfortunately, Jocelyn has been in Peru for the past 2 months and had to miss the action on Saturday--she gets home next week, though! p.s. how did you get the pictures already? Congrats, Tony....A job well done...You are truly an inspiration. I don't think I've ever read a better race report. The photos and captions tell it all. I "watched" it all go down from Maryland and was riveted. Hats off to you, man. Truly inspirational! --Mike V.
Great race! I was pulling for you all day. You are a real inspiration. Great job Tony, you're a huge inspiration! I love the shot of you and Jenn at mile 97. A perfect visual recap! Congratulations on a simply heroic performance. What were you wearing around your ankle during the race? Great! From Kilian's country, Catalonia, huge congratulations to you and the other runners, from the first to the last. I've just discovered your blog and I'm happy for it. You've a new follower. Anon-Everyone had to wear a timing chip around their ankle during the race. Happy to see you running with Kilian. Huge photos and race! Really incredible! 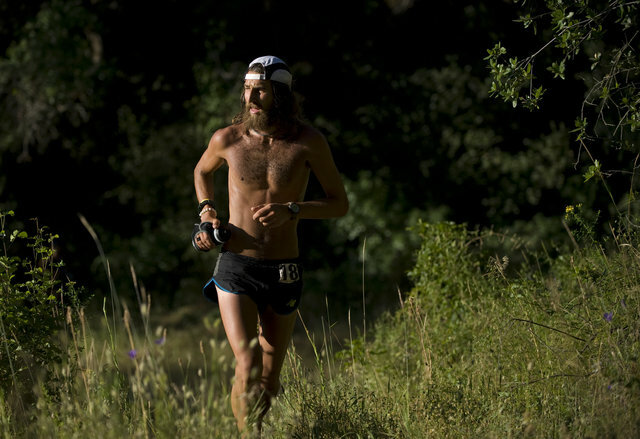 Congratulations from Catalan Countries, through following Kilian I've discovered you and your blog and it's amazing. You've a new follower too. Hi Tony. I have been a reader of your blog for years now (wow! time flies). Sorry I haven't commented. I am happy for you that the race went so well. And impressed that it was perhaps your favorite, considering, well, such tough competition. 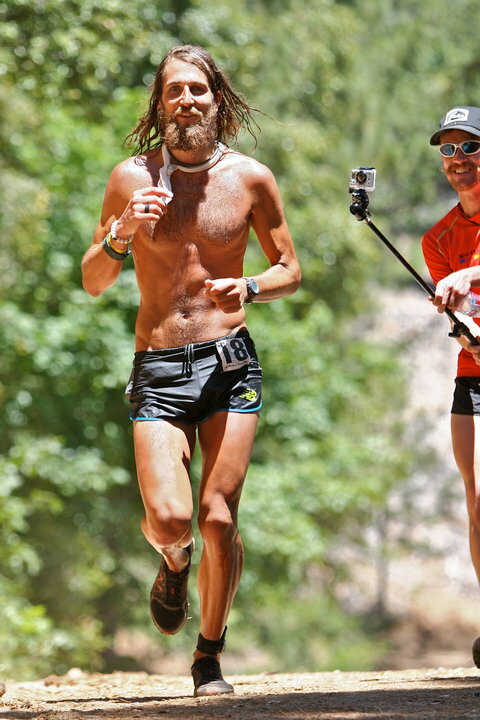 You are the first person who has made me really want to run Western States, because I can just sense how much you loved it. So I say thanks now, but I may be mad at you later if I actually get in and end up passed out along side of the trail at mile 70. 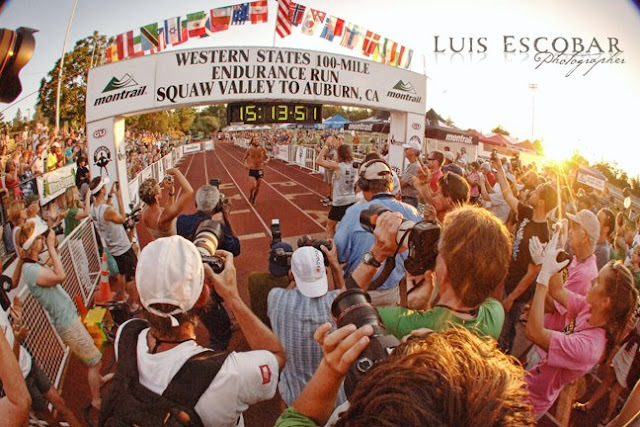 I have to also thank you for posting the Luis Escobar photos. 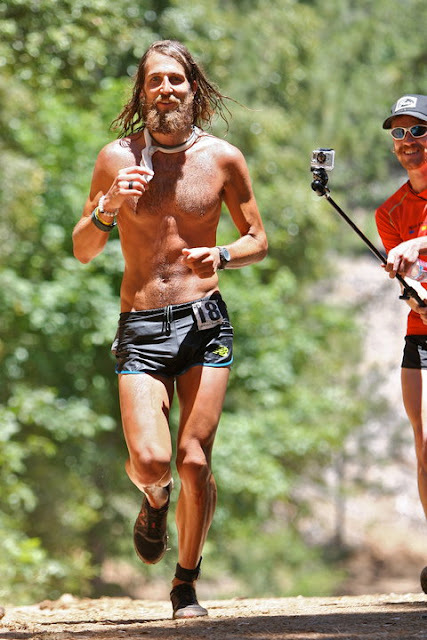 I can't remember seeing more beautiful and emotional running photos. Congrats on an awesome race, which I know didn't come without hard work. From a friend and supporter in Denmark :). Rehydrating with a can of PBR. You'd make a great sponsor for their fine product! I followed that race on line. And man, you kept me up all night! Salomon posted (almost) live pictures. What a head to head with Kilian. More entertaining than anything else sports has to offer! Yes! These photos do a great job capturing the race with your comments below them! Almost don't need a race report! Great race Anton! Congrats on a courageous race Tony. 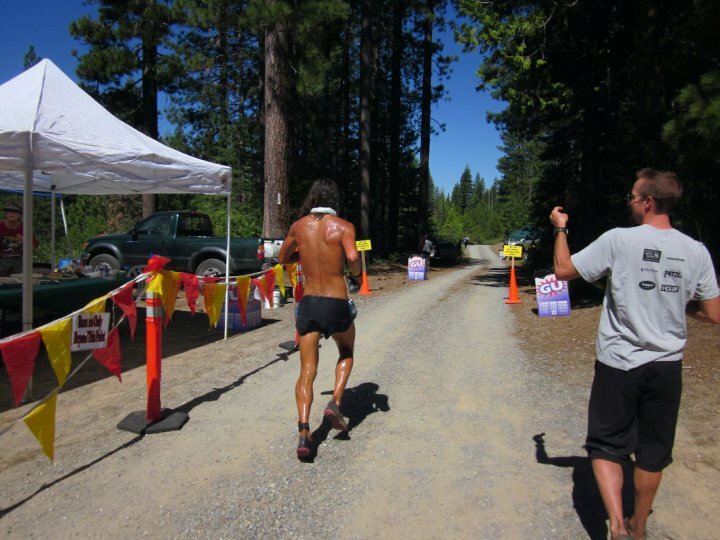 You raced hard for 100 miles against some tough competition. Thanks for the pics, and the comments are excellent. You can see and feel, the grit and emotion through the words and pictures. You're an inspiring runner. Keep up the good work. Some amazing photos here, Tony. Each dripping with the energy from the race. Congrats on a great race! Awesome photos! I am...you know, who care what I am. You are amazing. Your story and photos make it nearly impossible to continue to sit here. I feel like I HAVE to get outside and run again. 100 miles! 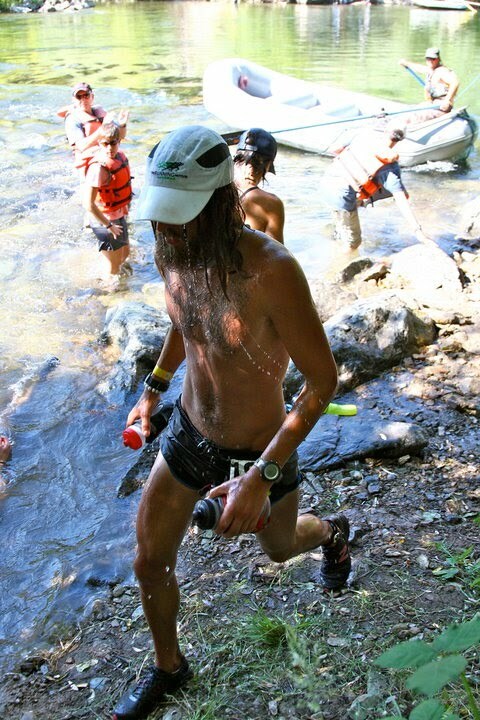 I am still working toward my first 50 miler. What a inspiraton you are. Thank you for an amazing race! I am in awe as usual by your journey. The photos are amazing! Way to crush it Tony! Speaking of your bohunk roots; i run in the Bohemian Alps runs every year (50k, 1/2 marathon) and if you were looking for a side trip/excuse to come back to NE to visit the fam, then you should stop by and run a hilly race. Nice work, brohaus. Great pics. I was following you guys all day online. Good work and rest well. 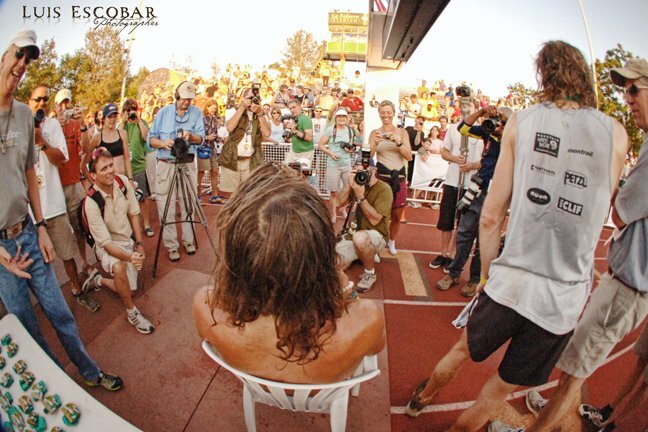 I heard Dirt Bag Joe had to bow out of full pacing duties due to Bighorn legs. I told him that would be a tough pace. Glad Jenn could step up. Rest well, see ya on the trails. Peace. Congrats on a fantastic effort Tony. Hope the knee came through OK. Not sure if Joe intended to land in the water the way he did at the Rucky Chucky raft loading spot. He looked a bit surprised. Hope to see you again next year. I followed live all day and watched you cross the finish line. The pictures with the comments are great and bring it all together. Thanks. Congrats on a Great race! I want to know how the MT101's worked. I wear MT100's & awaiting the 101's! First, off congrats Tony! It's amazing that it was so close. An epic race. Great, great, great photos! I guess Ms. Shelton was pacing, not competing this year? Strange question, but any idea what the shorts you're wearing are? Does NB still make them? For a 2.5/3inch short the cut is really good! Félicitation de France et du Team New Balance ! Congratulations for your race and what you are ! 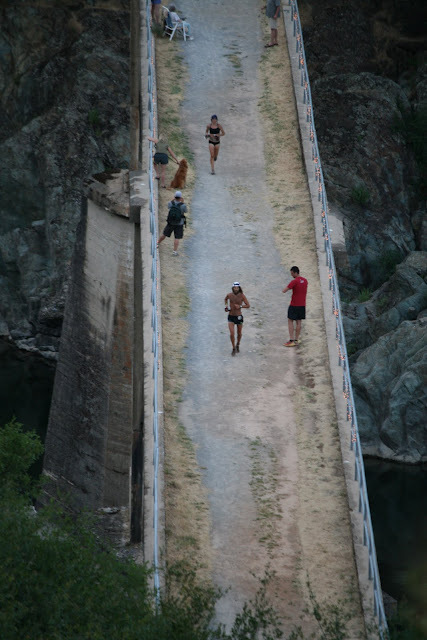 In France we will wait you for UTMB now ! Pics are fantastics ! 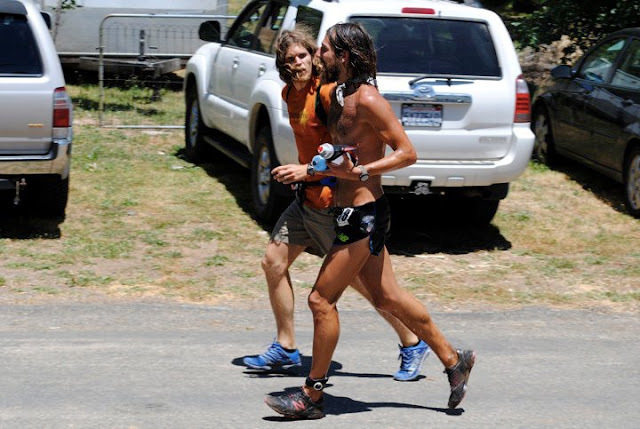 Anton ,as i posted on geoff,s blog earlier-'In my opinion there was more than one winner at WSER100 this year'.And that You ,Geoff and Kilian represented the sport very well!(understatement!). Showing that Ultra running can have Fierce competion yet solid comradarie. Nice work!for both - Total class!.And good to finaly meet you. Keep rockin the tunes , alohas from Hawaii.p.s. Consider the Hurt 100 jan 2011? :)you,d fully dig it! Awesome Race Anton! Truly an epic race to be remembered for a long time! Amazing pics! Still trying to figure out which NB's those are. You got me hooked on the 100s! :-) Congrats to Jenn as well! Did you notice how the way you ran this race was exactly like the way you trained for it? You must be pleased that you have become someone that runs wisely. Congrats! Inspirational effort all the way. Thanks for pics and for communicating with everyone so well. Your blog posts and your feedback through RT, are providing needed exposure for the ultra community. One for the Ages! How can you or Geoff top this one. Next year(?) 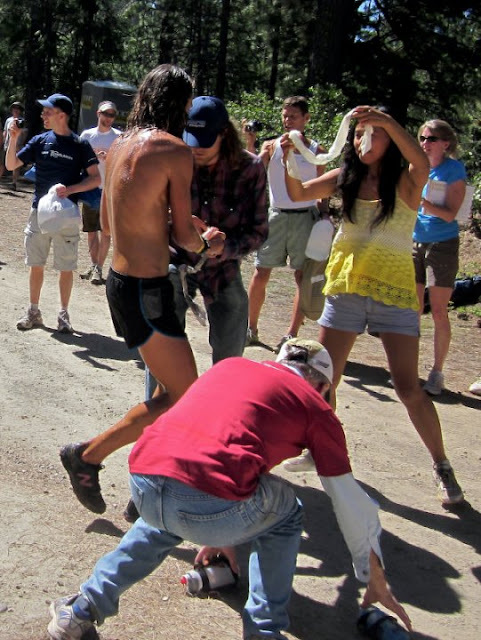 Good luck at PPM or Leadville, whichever race you decide to tackle. No doubt you will give it everything you've got. Redemption at Leadville perhaps. Such an amazing race! I am so happy to see that instead of a race where the winner beats the otehr competition by an hour, there was some true racing here. 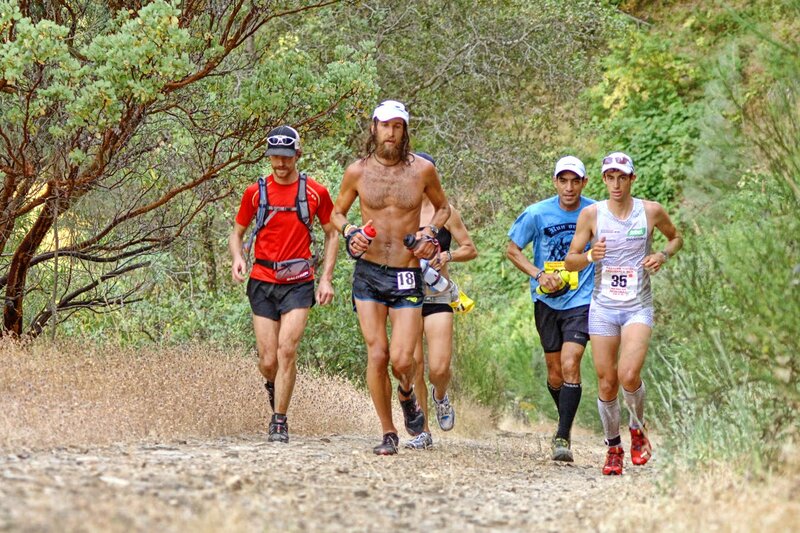 I hope ultra running continues to become even more competitive and you have really helped set the bar! Not to take away from the discussion of an amazing race, but that first photo is absolutely stunning. If that was taken in natural light, I'm throwing my camera in the garbage! It looks like a Greenberg photo, but I doubt there were 30 hotlights set up out on the trail. Amazing! An epic race deserves epic documentation. Bravo to both. great, great, great job Anton! My best wishes from Brazil! Epic. The first ultra race.. that i found myself glued to a computer screen for hours!!.. amazing race. Thanks all for the many kind and thoughtful comments. The NB shorts I was wearing are the "team" shorts--modified slightly by Jenny to shorten the rise a bit and add gel pockets on the hips (similar to the Sporthill Packrats). On my feet I was wearing an advance version of the forthcoming New Balance MT101...but with the women's pink and black colorway, because they're hot. While I had some issues with the 100s, the 101 is probably the best trail shoe I've ever worn. Subtle but very important and noticeable improvements were made to the upper. I notice that on your shorts you have external pockets for all your gear. Is this a mod you did yourself or are NB coming out with a pair of shorts like yours? I have a running skirt with pockets like that and I love them for long runs because I can stuff tons of things in them. I want to mod my boyfriend's shorts so he can carry more stuff too. Can you give a tutorial or anything? I love the pictures as always. Luis Escobar takes fantastic pictures. Congrats on the awesome race. 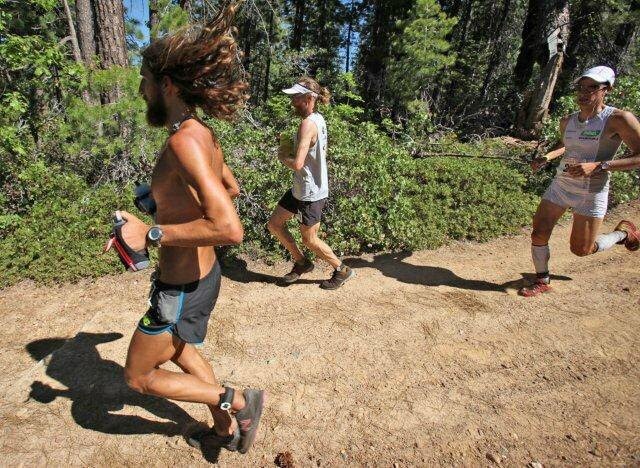 Can't wait to see what happens at Leadville with double the amount of runners this year, yikes! Wow awesome...I wish I could have this kind of experience one day.. I'm looking forward to getting my hands on the MT 101s this fall, and do dearly love my MT100s - mildly flawed though they are. @ Sarah - just to save him some comment time, one of his crew did indeed mod the shorts to add the extra pockets. There's even a shot of it in the post previous to this. Terrific job, man! You all rocked it very hard. Big congrats to all who finished! Terrific photos, too. Ah! I saw a preview pair of womens 101s - thought that was them....rockin the pink...nice! This is the true life. come on and join us to enjoy the nature. I'm so pleased for having the 'next' button on my page.